Posted on April 8, 2019 at 9:31 am. 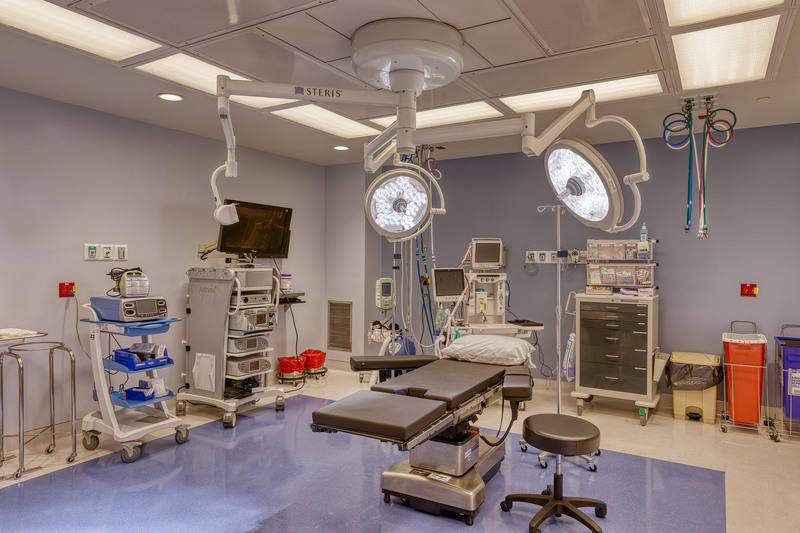 Merritt Healthcare retained Optimus to design this 14,300 sf four OR ambulatory surgery center. Starting with a tenant space in a former IBM office building. 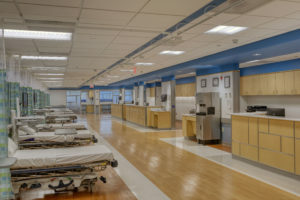 Optimus economically transformed both the interior and exterior to accomplish the NYSDOH Article 28 approved ASC. As with our many ASC’s, Optimus carefully addressed the functional program and health code requirements within the constraints of the existing building and site, accomplishing an efficient and effective operational environment for doctors and staff. Construction started on the facility January 2018 and the project was completed and approved for occupancy by NYSDOH December 2018. 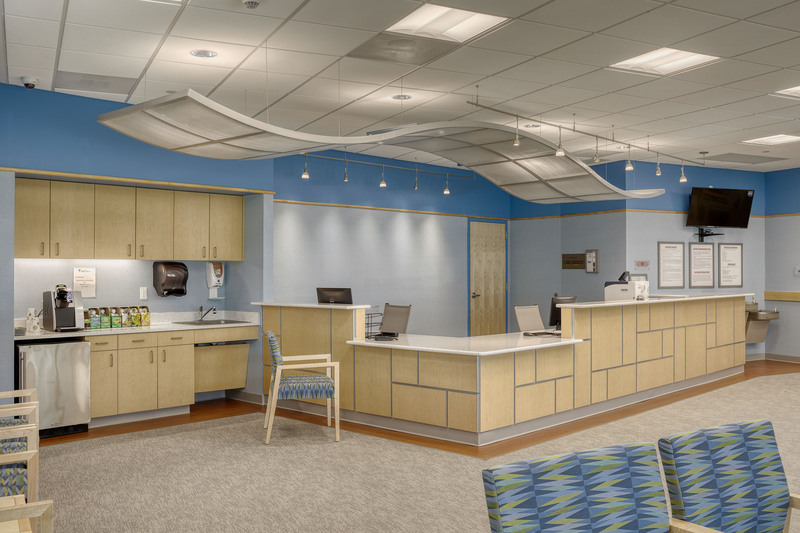 The medical group wanted a modern, sleek, aesthetic appearance with a splash of color. Our interior designers achieved the attractive modern and durable interiors within budget. The combination of natural colors, blue and metallic accents, and interior storefront finishes, with natural light provides a comfortable working and healing environment for both staff and patients.